Under the direction of Governor Pat McCrory, top state environmental officials visited Dare County Thursday to see first-hand the damage of Hurricane Matthew and identify ways the administration can help speed the recovery process. 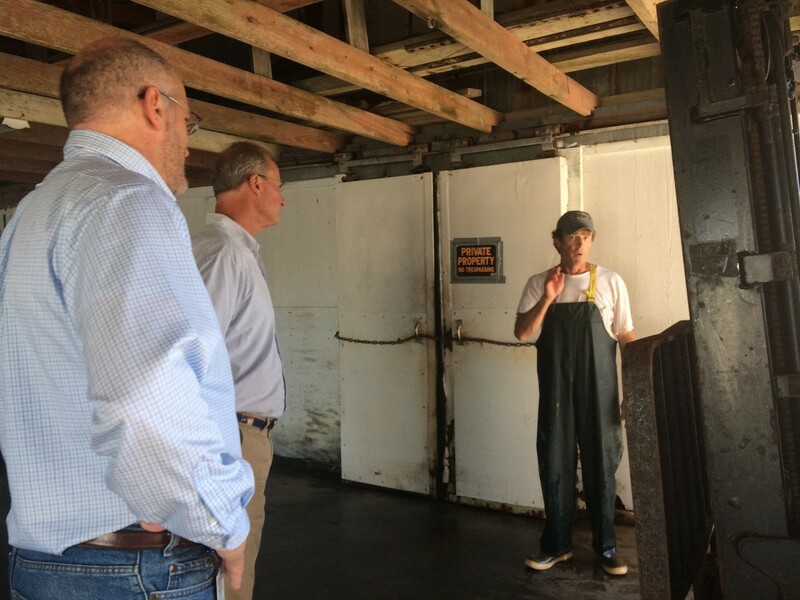 The visit to Dare County is part of a larger effort of the environmental department to visit affected areas in around the southeastern part of the state to assist local communities recover from historic flooding. The state environmental department activated last week an emergency general permit to help speed up local recovery efforts. The permit regulations speed up the authorization process for rebuilding structures that meet state standards. The rules also waive permit fees for those projects, as well as for dune reconstruction and maintenance dredging of existing channels related to hurricane recovery. The permit may be used in all the 20 coastal counties: Beaufort, Bertie, Brunswick, Camden, Carteret, Chowan, Craven, Currituck, Dare, Gates, Hertford, Hyde, New Hanover, Onslow, Pamlico, Pasquotank, Pender, Perquimans, Tyrell, and Washington. The permit does not eliminate the need to obtain any other required state, local or federal authorization. To see Secretary Van der Vaart’s signed statement, go to: http://tinyurl.com/gr2tsqr. 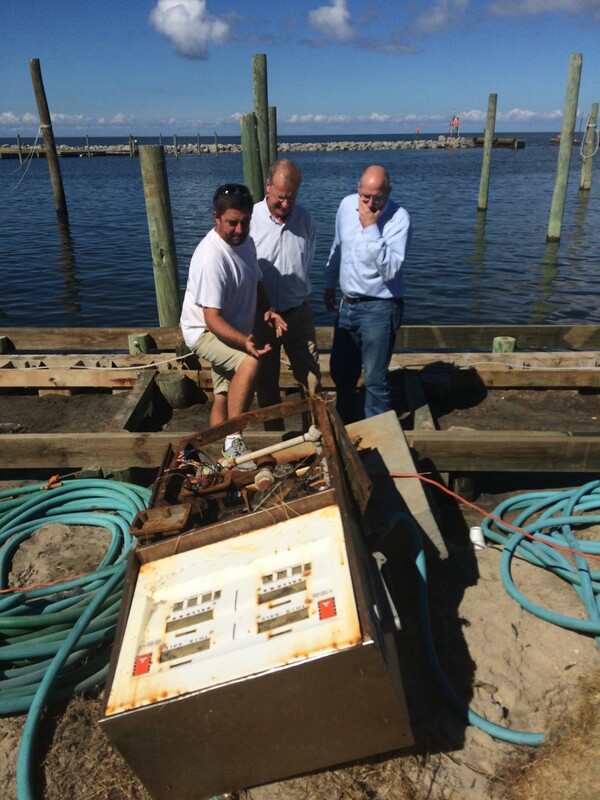 Coastal property owners who need to replace docks, piers, bulkheads or similar structures damaged by Hurricane Matthew along sounds, rivers and creeks may be able to do so quickly by using an emergency general permit offered by the state’s coastal agency. The general permit cannot be used for rebuilding houses and does not apply to the replacement of oceanfront structures. Non-oceanfront property owners who lost their house may need either a CAMA minor permit or a permit exemption to replace it, depending on where their house was located. 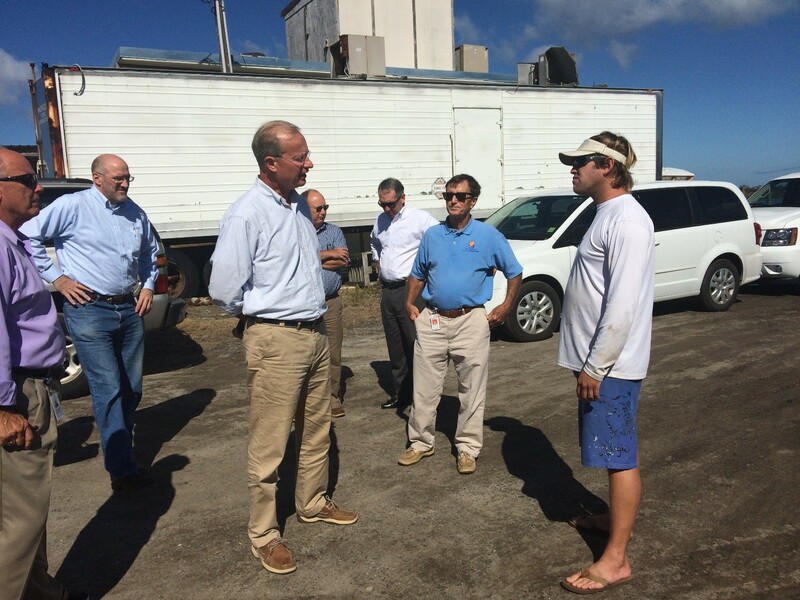 Secretary Donald van der Vaart and Deputy Secretary John Evans discuss inlet and channel navigation concerns after Hurricane Matthew. 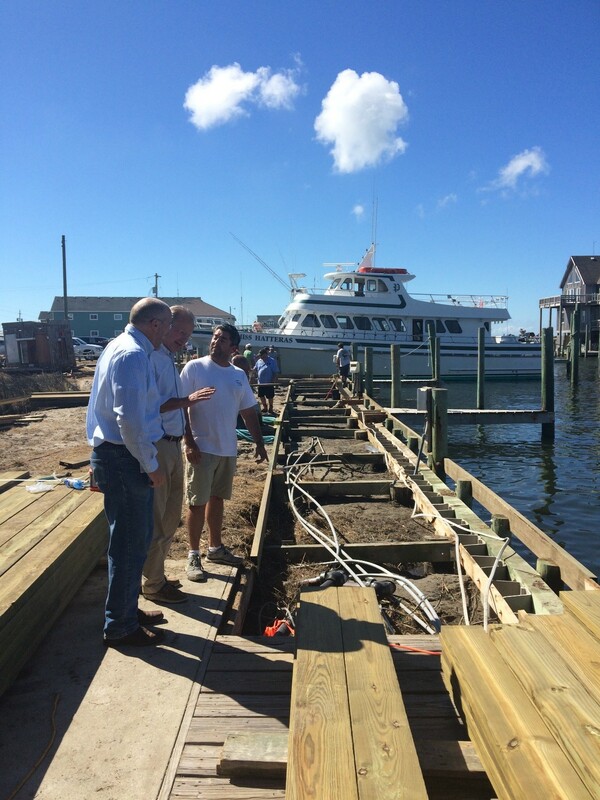 Secretary Donald van der Vaart and Deputy Secretary John Evans discuss expedited repairs allowed by the emergency permit at Oden’s Dock in Cape Hatteras.